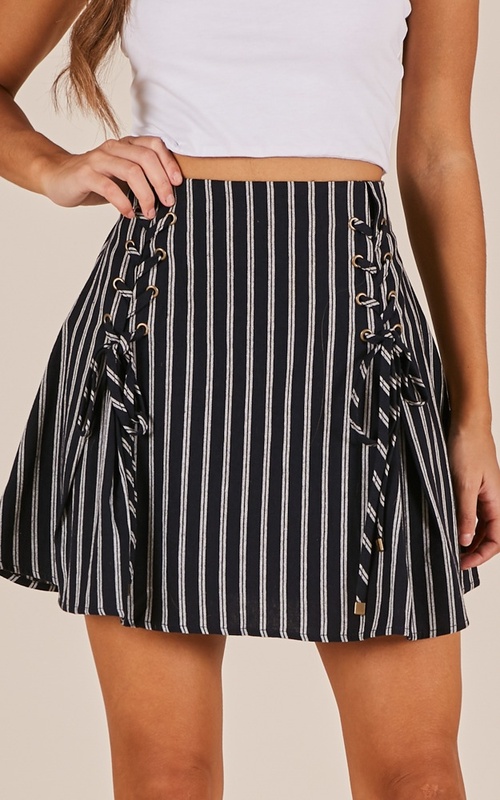 Up your game with this perfect stripe skirt! 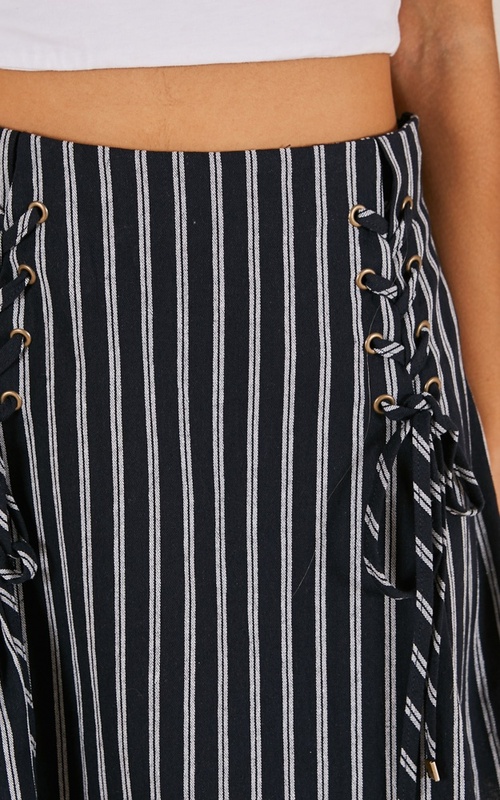 You'll love the lace up detail and flirty hemline! 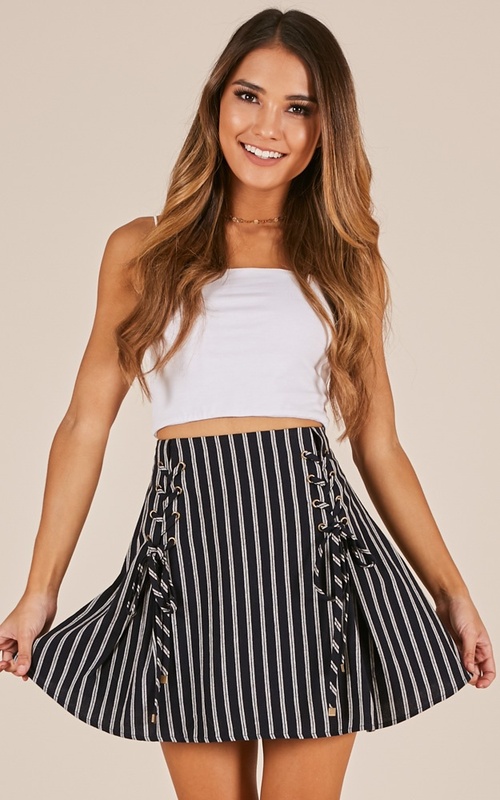 Pair with your fave basic crop or bodysuit for a cute day look.